We run various programmes and events throughout the year. We create displays to promote the latest resources, events - national or cultural, such as Matariki Week or Samoan Language Week. Our competitions are outstanding and you could earn fantastic rewards, such as pizza for just reading books! So, check out the display board or student noticeboard in the library to make sure you don't miss out! 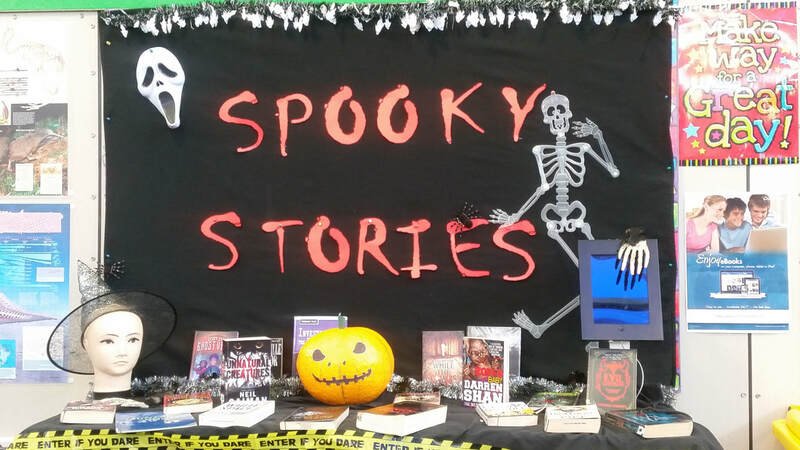 ​Check out the super scary display we have in the library. We have plenty of spooky stories to keep you wide awake at night. Titles such as ‘ZOM-B Baby’, ‘My boyfriend is a vampire’, and ‘Evil Librarian’! We have books by popular horror writers, such as R.L Stine, Stephen King, L.J Smith! Come and meet some new members of the library – we have Peter Poltergeist Pumpkin, Hairless Holly and Skeleton Sally! We’re celebrating Maori Language Week! The theme this year is: ‘Kia Ora te reo Māori’, which celebrates New Zealand's indigenous greeting. Thank you to Whaea Marie who kindly lent us some of her items for the display. We also have books and resources to support learning Te Reo Māori! So come to the library and check it out! 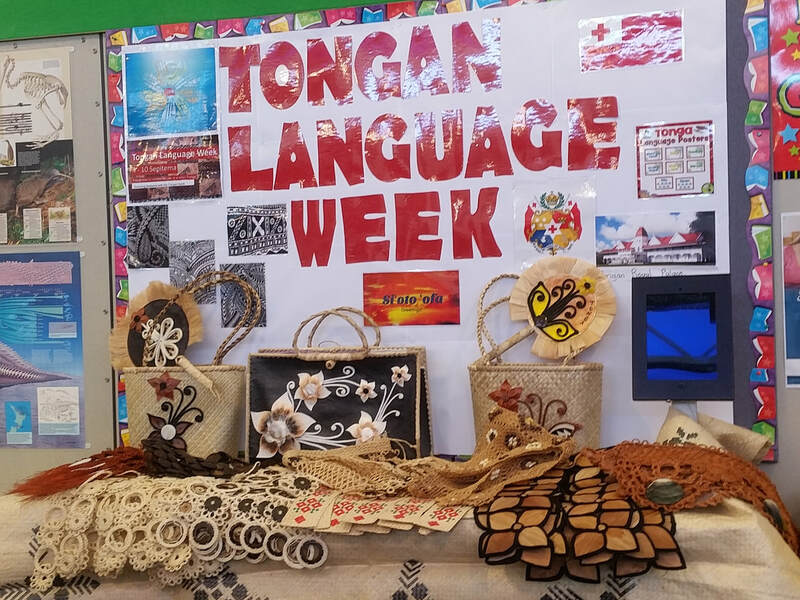 Check out the library's Tongan Language Week display. Thank you to Ms Ketu'u who kindly lent us items to put on display. Celebrate Cook Island Language Week in the Library! Check out our awesome display and the books we have available. Thank you to Ms Paraha for lending us the display items! James Cook High School Library was privileged to have Tim Tipene, an award-winning author and founder of the Warrior Kids Programme, speak to our students and share his knowledge and experiences to a selection of classes. The sessions were interesting, engaging and inspiring. 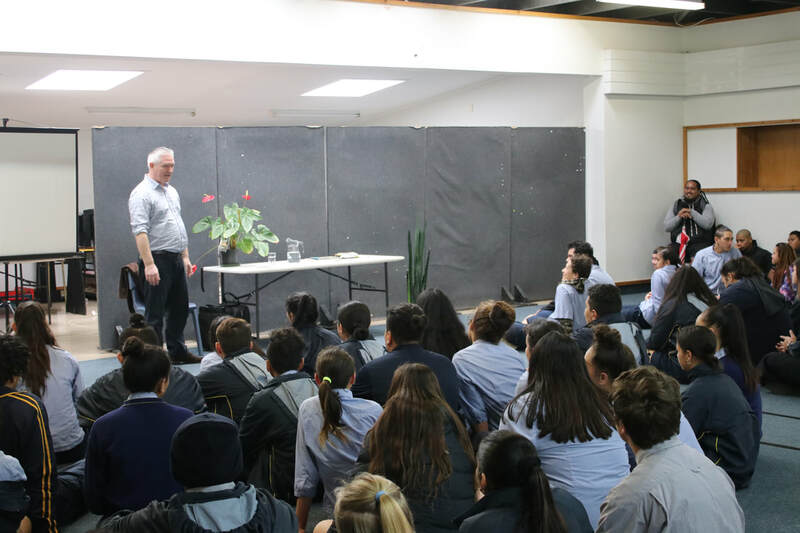 Many of the students and staff felt incredibly humbled to have been given this opportunity to hear Tim Tipene’s stories – the challenges he faced, and his journey towards overcoming them. Can you spot the wild boar, horse, lamb? There are also eight men's and women's faces that you need to find as well!